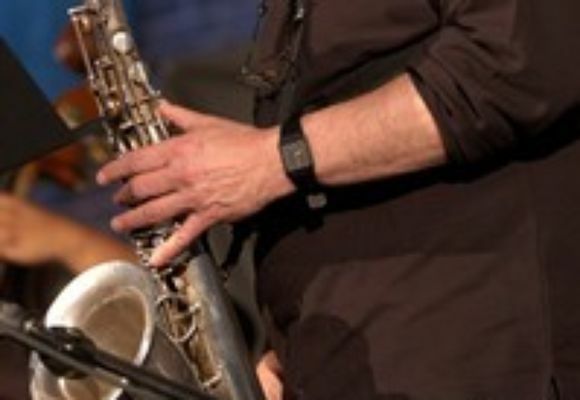 Garzone is well-known as a sought-after jazz educator, teaching at the Berklee College of Music, New England Conservatory, Longy School of Music, New York University and the New School University Jazz and Contemporary Program. He has pioneered the triadic chromatic approach and students of his have included Joshua Redman, Branford Marsalis, Teadross Avery, Luciana Souza, Mark Turner, Donny McCaslin, Doug Yates and Danilo Pérez, to name a few. In 1995 he recorded a fine tribute to Stan Getz on NYC called Alone; Four's and Two's followed a year later with compatriot Joe Lovano which earned him four stars in Downbeat magazine, and in 1999 Garzone returned with Moodiology. Fringe in New York was released in summer 2000. He is a member of the Grammy-winning Joe Lovano Nonet, and performed and recorded with this group at the Village Vanguard in September 2002. George is endorsed by Rico Reeds.